North Korea’s end goal is the forcible unification of the peninsula under Pyongyang rule, chief of U.S. Pacific Command Admiral Harry Harris told a hearing of the House Armed Services Committee in Washington DC on Wednesday. Harris is now the third senior U.S. official to publicly suggest North Korea is developing nuclear weapons in order to coerce South Korea into unification under its terms. “I think we are self-limiting if we view North Korea’s nuclear ambitions as solely a means to safeguard his regime,” Harris said. Although many analysts disagree with the interpretation that Pyongyang’s pursuit of nuclear weapons is to support the end-goal of unification, there is evidence it is supported by other figures in the U.S. administration. Notably, Harris’s remarks come as the U.S. director of national intelligence on Wednesday reinforced January warnings by CIA Director Mike Pompeo that time was close to running out for the U.S. to act on the threat posed by North Korea’s nuclear weapons program. 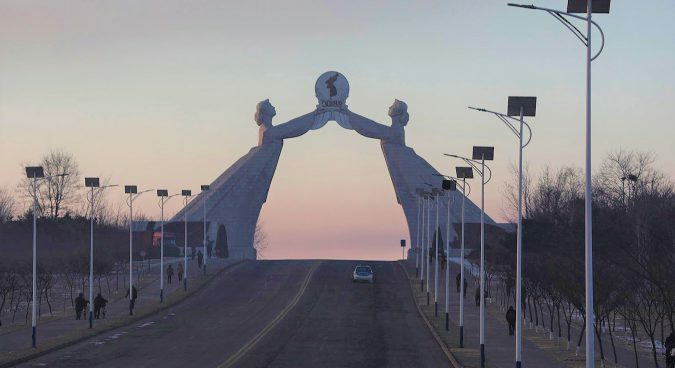 Tertitskiy said that while North Korean state media regularly states that unification is the end goal, historical precedence suggests the issue is unlikely to be more than rhetoric. “Everyone would agree that Soviet and Chinese missile and nuclear systems were far superior to what the DPRK has, so I see no reason for North Korea to succeed where China and the Soviet Union failed,” he said.